Heat the oven to 375°F, with racks positioned in the middle and the top third of the oven. 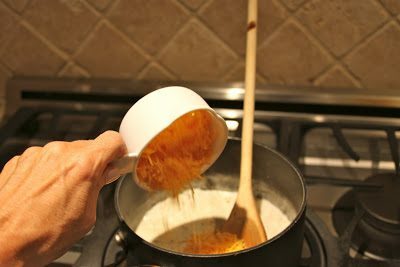 In a 3- to 4-quart stockpot, bring 2 quarts water and 2 teaspoons of the salt to a boil. 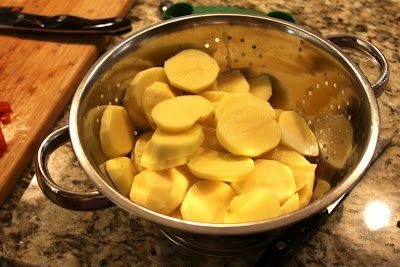 Add the potatoes and cook for 10 minutes. 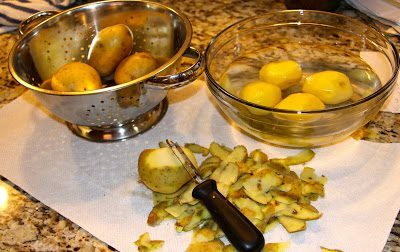 Then drain, and set them aside. 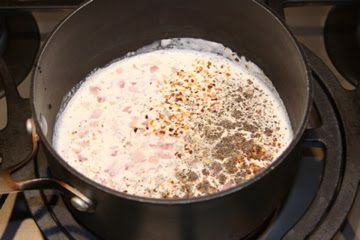 Combine the cream, shallots, chile flakes, remaining 1 teaspoon salt, the black pepper, and 2 tablespoons of the liquid from the jar of roasted peppers in a small saucepan. 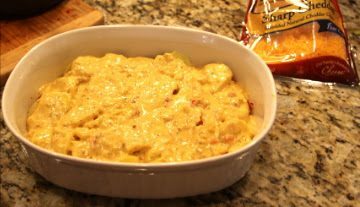 Bring to a simmer and cook until the chile flakes have begun to stain the cream, about 2 minutes. 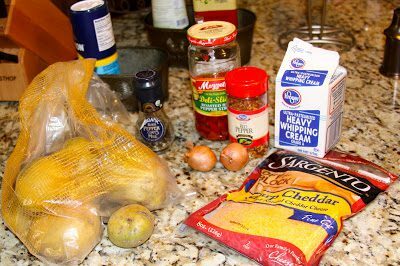 Add half of the cheese and stir until it melts, about 1 minute. Remove the pan from the heat. 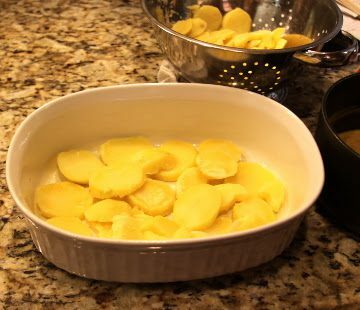 Layer roughly a third of the potatoes in a 6-cup baking dish, overlapping them slightly so that they fit in an even layer. 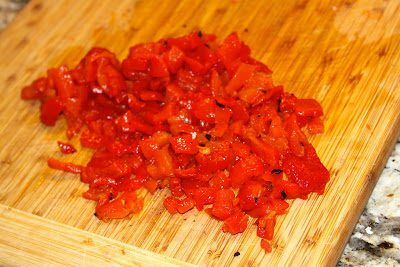 Scatter half of the roasted peppers on top of the potatoes, and repeat layering potatoes and peppers until all the peppers and potatoes have been used. 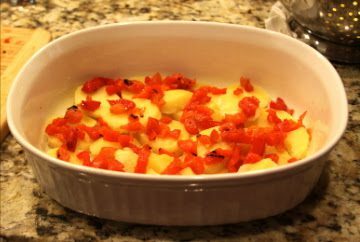 Pour the cream mixture over the potatoes and peppers, and agitate the dish to distribute the liquid throughout. Cover with aluminum foil and bake on the middle rack for 15 minutes. 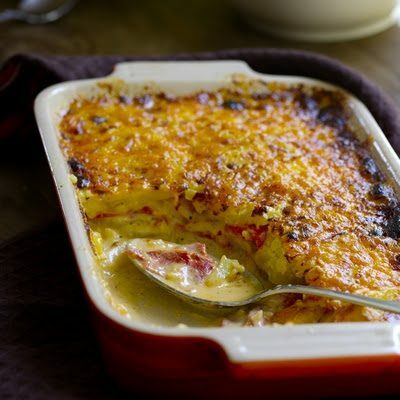 Uncover the dish, sprinkle the remaining cheese over the top, and place the dish on the top oven rack. 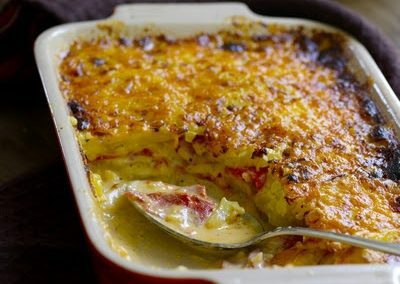 Bake for 8 minutes, or until the cheese is bubbly and gently browned on top. Serve immediately.